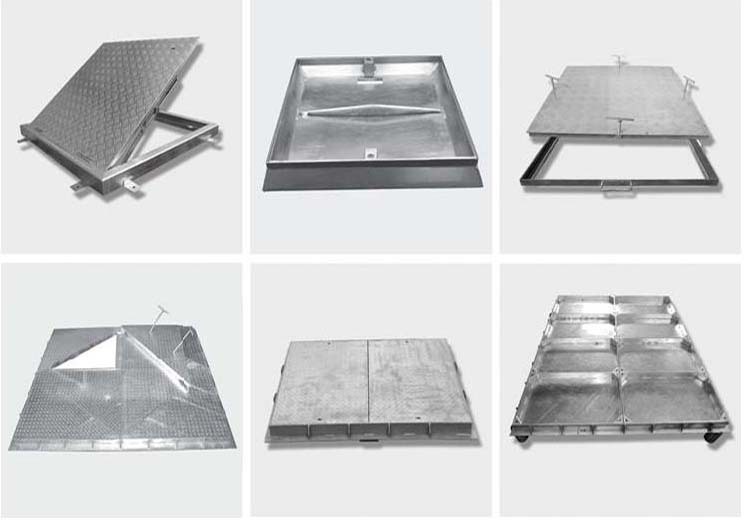 Available in galvanized steel, stainless steel and aluminium. Designed for a variety of applications, and available in recessed and solid top models; with single seal and double seal options. Covers can be drop-in type, hinged or lockable. Reinforced for extra strength and sturdiness. For larger openings, multiple covers with removable cross supports - designed to handle extra load, and removable for easy maintenance - are recommended. Hinged covers are equipped with heavy-duty hinges and locks for durability and ease of operation. Covers with spring-assisted lifting mechanism are also available on request. 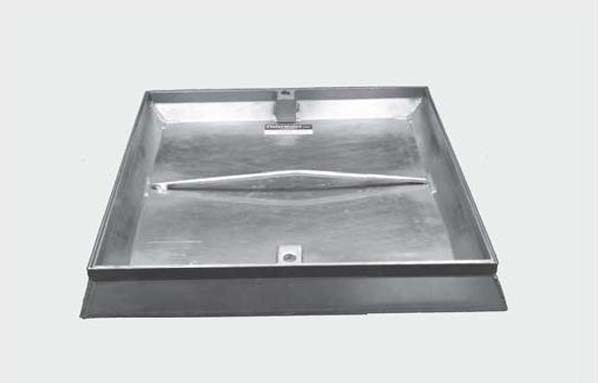 300 Series Stainless Steel Recessed Manhole Covers are designed to be used with all types of concrete and paving blocks. These covers are lockable and have all around neoprene gasket sealing. Its design and finish are appropriate for shopping malls, hospitals, etc. Fabricated from 1.5mm sheet with 42mm recess depth. Covers are lockable with stainless steel screws. To get better sealing, neoprene gaskets are provided. 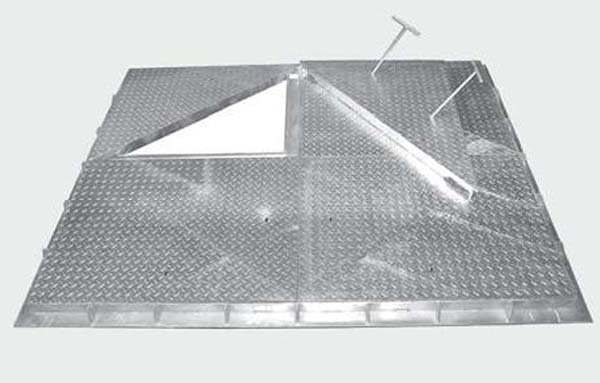 Light duty galvanized steel Thin Rim Recessed Manhole Covers are ideal for areas of tile paving where it is desirable to have continuity of surface finish and pattern. 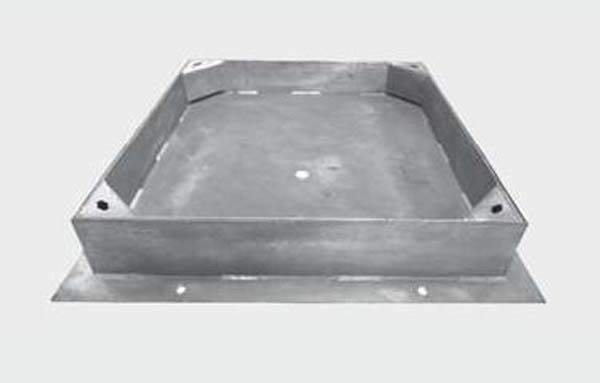 Recessed manhole covers are suitable for internal and external uses. 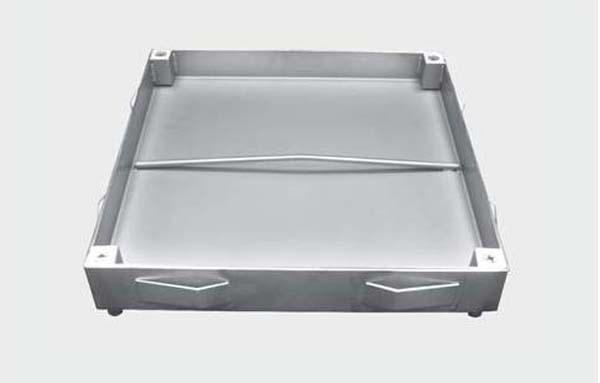 MS Galvanized Hinged Covers have raised non-slip solid top chequered pattern. Adequate reinforcing stiffeners are provided to resist flexing of cover under load conditions. 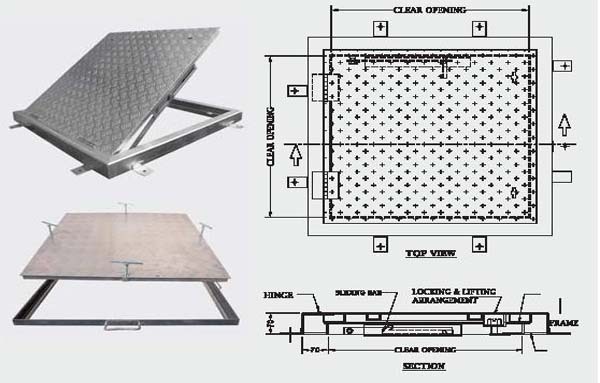 Hinged covers are used as floor access covers and water tank covers. The hinged covers are lockable and have self locking safety stay bars which retain the cover in position. Multi-Part Covers With Removable Cross Beams, Solid Top Drop-In Type Covers have raised non-slip chequered pattern. Adequate reinforcing stiffeners are provided to resist flexing of cover under load conditions. Covers can be made with peep in facility where frequent access is required. Solid Top Drop-In Type Covers have raised, non-slip chequered pattern. Adequate reinforcing stiffeners are provided to resist flexing of cover under load conditions. 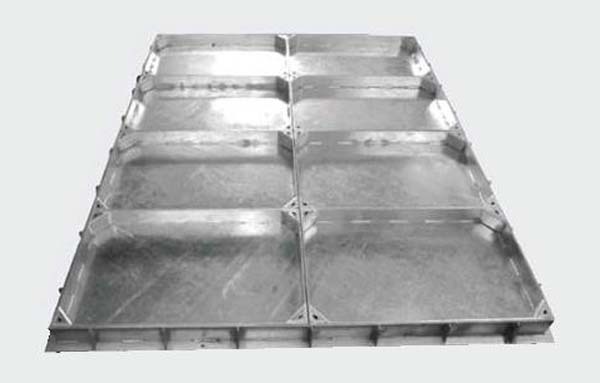 MS Galvanized Recessed Pavior Type Multipart Covers are suitable for use with all types of concrete and paving blocks up to 100mm depth. Adequate reinforcing stiffeners are provided to resist flexing under load. 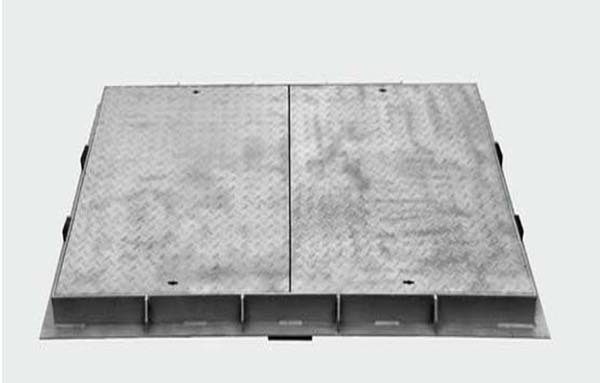 MS Galvanized Recessed Pavior Type Multi-Part Covers with removable beams are suitable for use with all types of concrete and paving blocks up to 100mm depth. Adequate reinforcing stiffeners are provided to resist flexing under load.